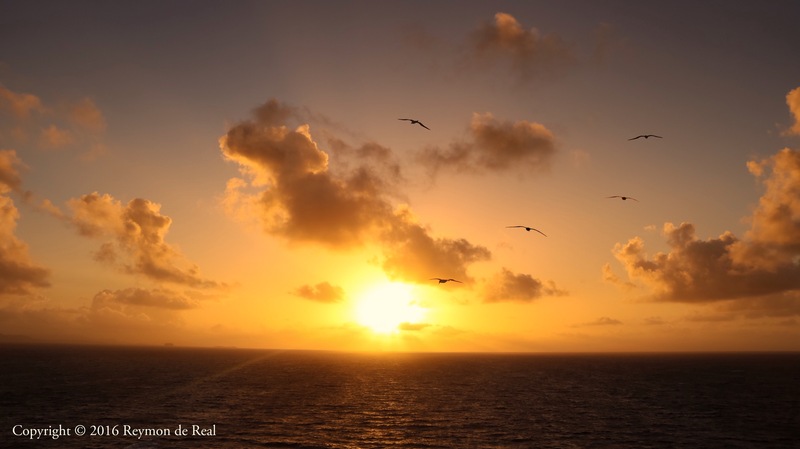 Midway through my cruise, I decided to wake up early one morning to witness and photograph the sun rising somewhere in the Caribbean Sea. The ship was passing by a group of islands when suddenly a flock of sea birds started flying in front of the ship as if guiding it towards its destination. I moved to the front of the ship for a more unobstructed view and I was astounded by the sight of the golden sun rising from the horizon. I was all alone at the top of the ship and I felt very privileged to have been there for that moment. Thank you. Appreciate your feedback. Makes me enjoy more what I do. Hi Jessy! I was up at the top of the ship past 6am coz the sun came out of the horizon later part of 6 almost 7am. Good luck and have fun on your cruise. WOW! this is an incredible picture! Thank you! Thanks for dropping by my page as well. Hope you drop by again soon. An absolutely breath taking photo. What a glorious way to start the day. Thank you Miriam. It was a great way to start the day indeed.